Edinburgh Castle is an ancient fortress perched on a volcanic plug in the centre of the capital city. During the time of the Covenanters it was used as a base for the soldiers, as well as a prison. 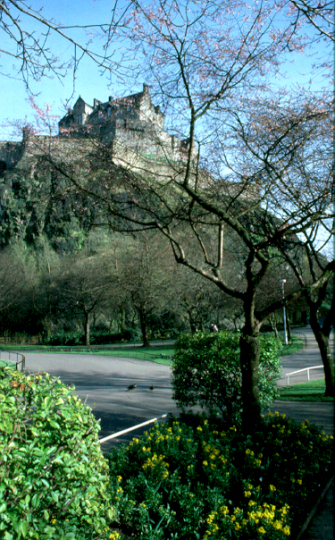 The castle is located in the centre of Edinburgh, at the top end of the 'Royal Mile'. The castle is regularly open to the public. It is cared for by Historic Scotland. An admission charge is payable to enter. For more details, visit the castle website.